The Buckeye Dairy Club held its annual awards reception on April 22 at the Der Dutchman in Plain City, with about 82 in attendance. Those recognized included the dairy judging and dairy challenge teams and the Club’s committee chairs and outgoing officers. The Buckeye Cow Tales yearbook was dedicated to Ray and Colleen Jackson and their family for providing the cow for ‘Milk a Cow on the Oval’ and additional support to the Club. The Outstanding Club member awards went to: Freshman – Sarah Schuster (Columbus, OH), Sophomore – Hannah Meller (Wauseon, OH), Junior – Molly Cleveland (Green Springs, OH), and Senior – Rachel Park (Ravenna, OH). The Prestigious Member Award (includes $500 toward college costs) went to Marina Sweet (London, OH). The Buckeye Dairy Club in conjunction with John and Bonnie Ayars initiated the Austin Ayars Memorial Scholarship ($5,000), with the first recipient being Joel Sonnenberg (Malinta, OH). 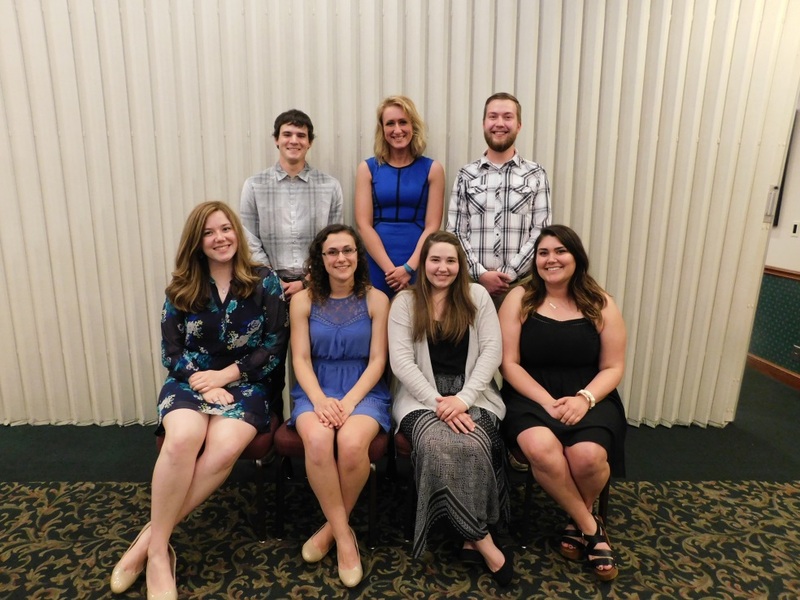 The 2017-2018 Officer Team is: President: Marina Sweet, First Vice- President: Hannah Meller, Second Vice-President: Chase Thut, Recording Secretary: Hannah Jarvis, Corresponding Secretary: Lexie Nunes, Treasurer: Joel Sonnenberg, and CFAES Representative: Katherine Wolfe.